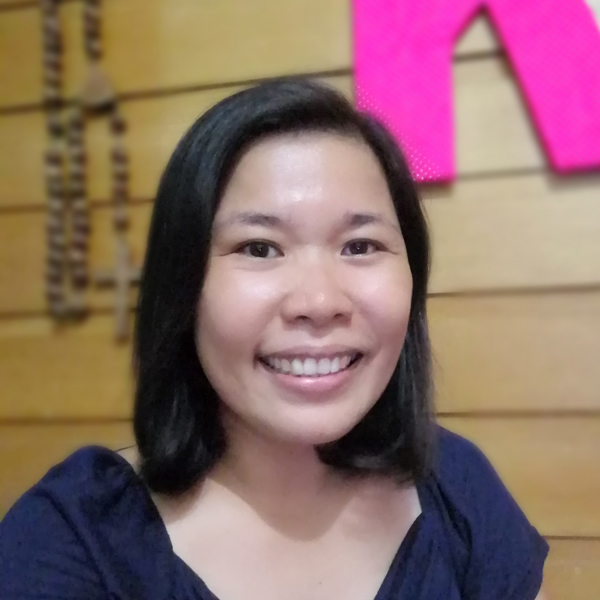 My friend, Gail, and I found a promo fare from Davao to Bacolod early this year. When September came, off we went to the City of Smiles! 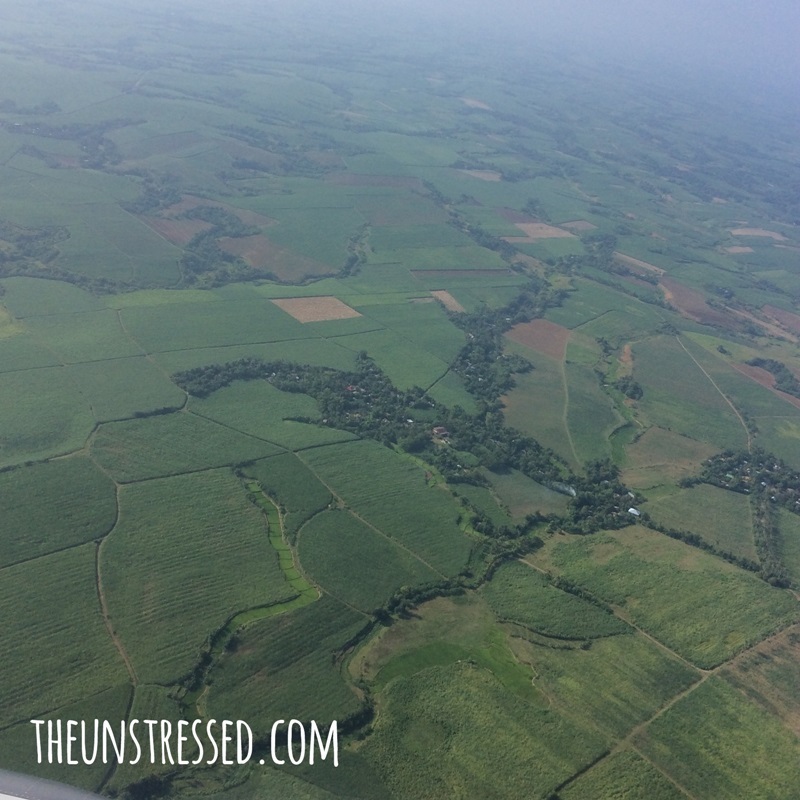 As we landed, this is what I saw: vast plantation of sugarcane! 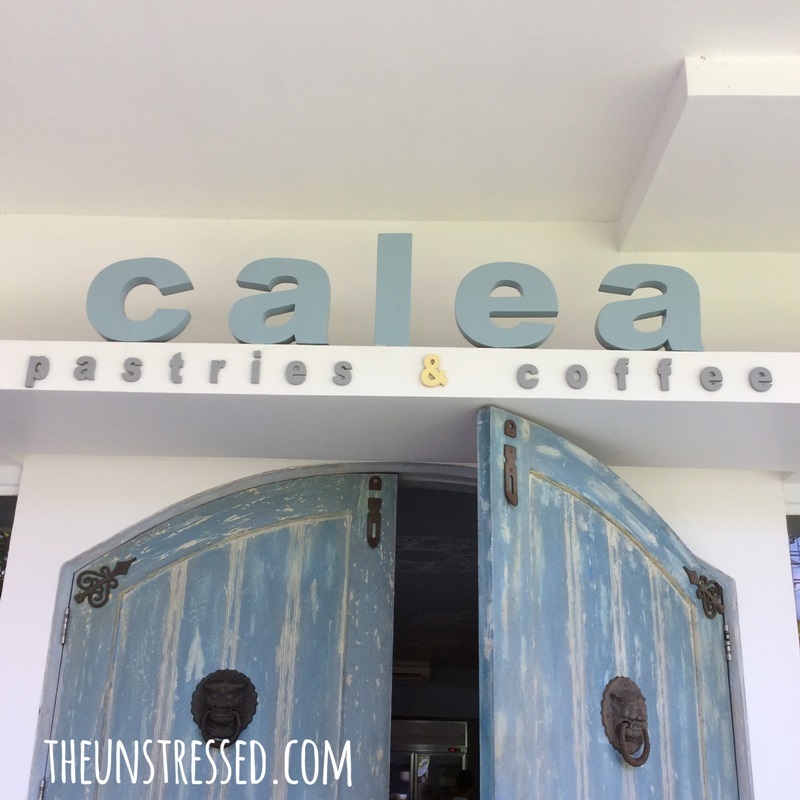 With that in mind, our first stop was at Calea, a pastry shop. We had luggage in tow and the cafe was not yet open when we arrived but we were willing to wait. It was an easy breezy trip. It was still around 9AM and we were not expected in our next destination until around lunch time. 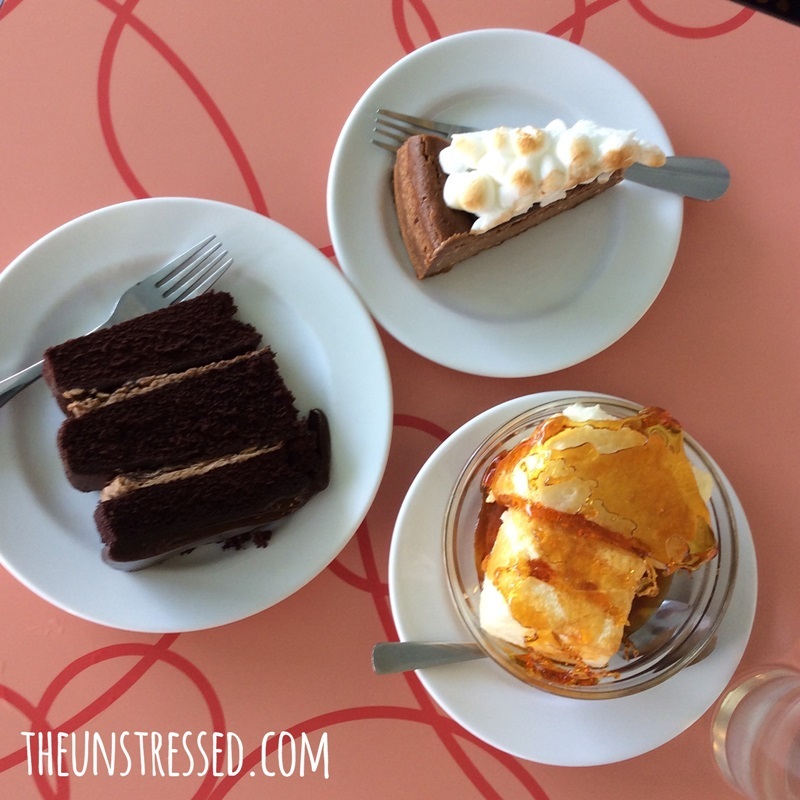 Our tummies can only handle 3 cakes. Besides, we have 4 days in this place. We have more opportunities for more cakes. Off we went to the mountains. 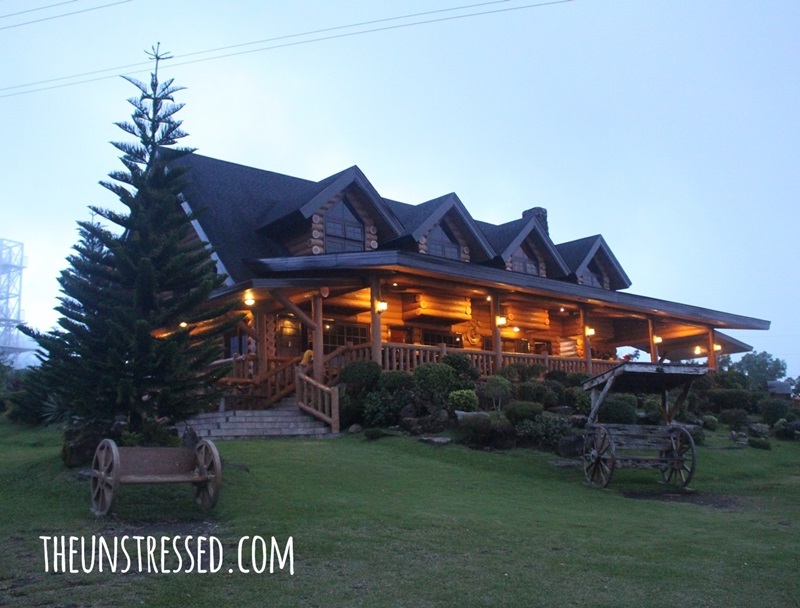 We spent our first night in Negros at the Campuestohan Highland Resort. 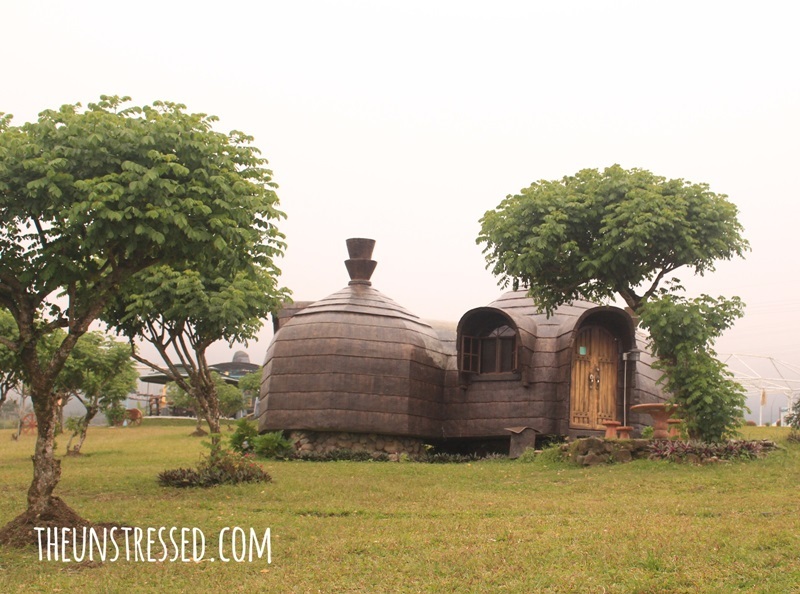 We went there for the experience of sleeping in a house that looks like that of a hobbit’s. This is called a Bonita Hut. The bed is so biiiiig. On the website, it states that this can accommodate up to 6 people. Oh, the bonita hut has no air-conditioning, which was okay because this was already in the mountain. Cool mountain air was enough to give us a comfortable sleep that night. Actually, I found myself reaching for the blanket in the middle of the night. … and the teepee accommodations. Our only beef was the transportation. The resort did not have a shuttle service during weekdays. We had to hire a taxi to get us there. We haggled for Php 600 taxi ride in reaching the place and we paid Php 1000 for the taxi driver to fetch us the following day and bring us to Mambukal. 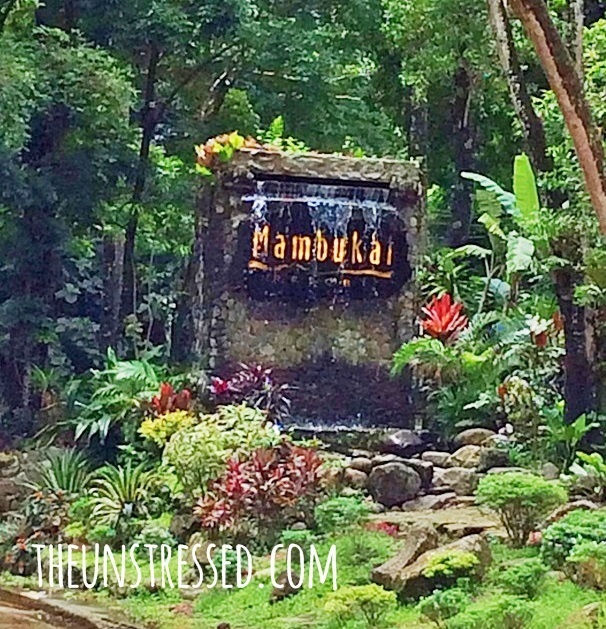 Mambukal is another mountain resort in Negros which is run but the local government. It is at the foot of Mt. Kanlaon so it has several springs and waterfalls. Good thing that I made reservations months before and I saw my name on their calendar. The resort was fully booked. Some local government units had seminar there. It was raining when we went there. We had to wait for the rain to stop before going to our next activity- trekking to the falls. There are 7 falls in Mambukal. The guide brought us to three. We opted to just go to 3 falls. It was already raining. Plus, my legs were already tired with all the “climbing”. There are paths, steps and railings towards the falls but because it was raining, there was an extra effort on my part to avoid slipping. 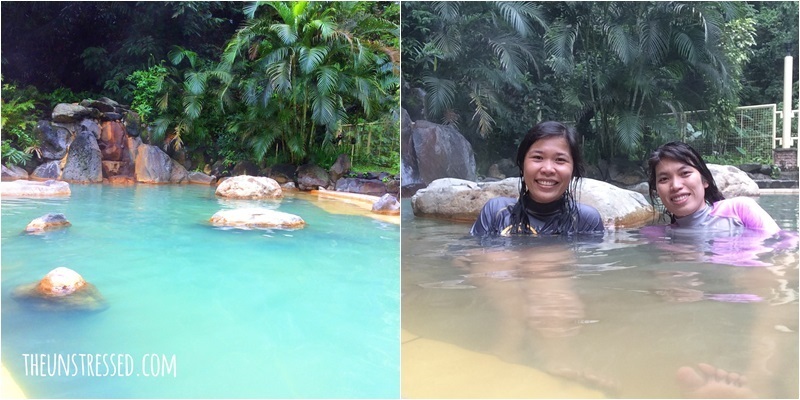 By the following morning, we wanted to try the hot sulfur spring. This is called a Japanese Ofuro. We had breakfast after dipping in the spring. 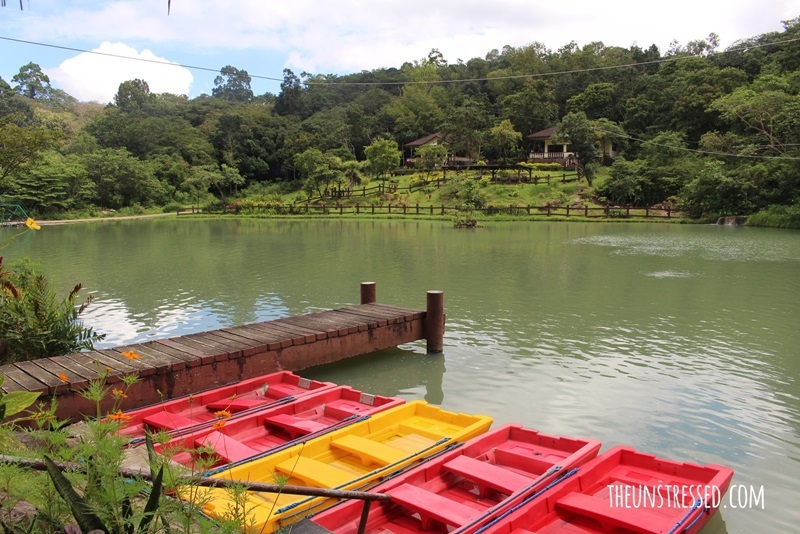 We still have time before checking out of the resort so went to the boating lagoon to see if we could try boating. We decided to just take some photos there. 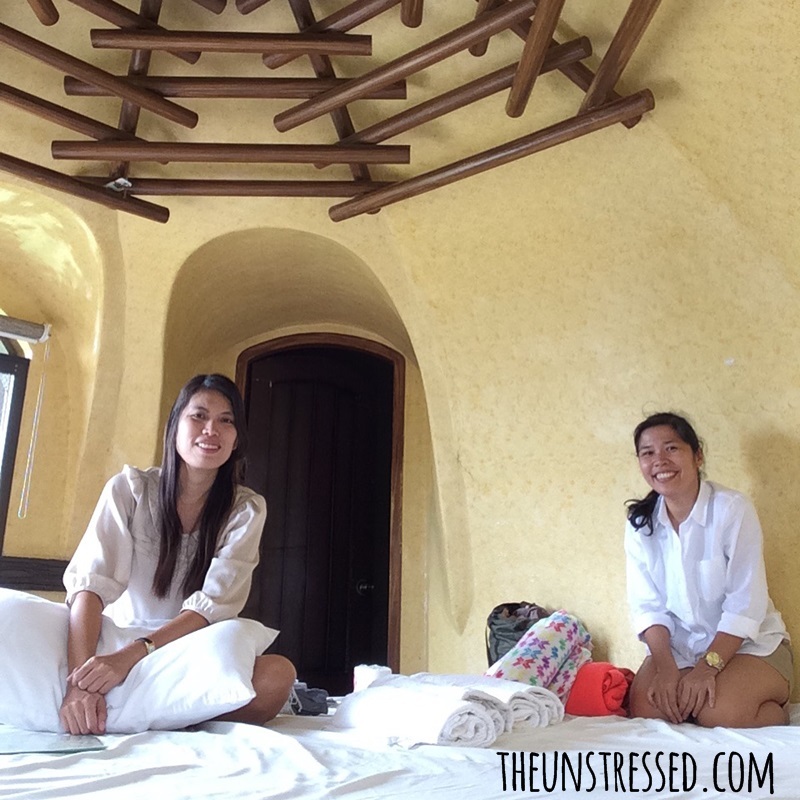 In Bacolod, we stayed at Go Hotels. We snagged a promo months before. Room rate which only costs us 1,200 for two nights. 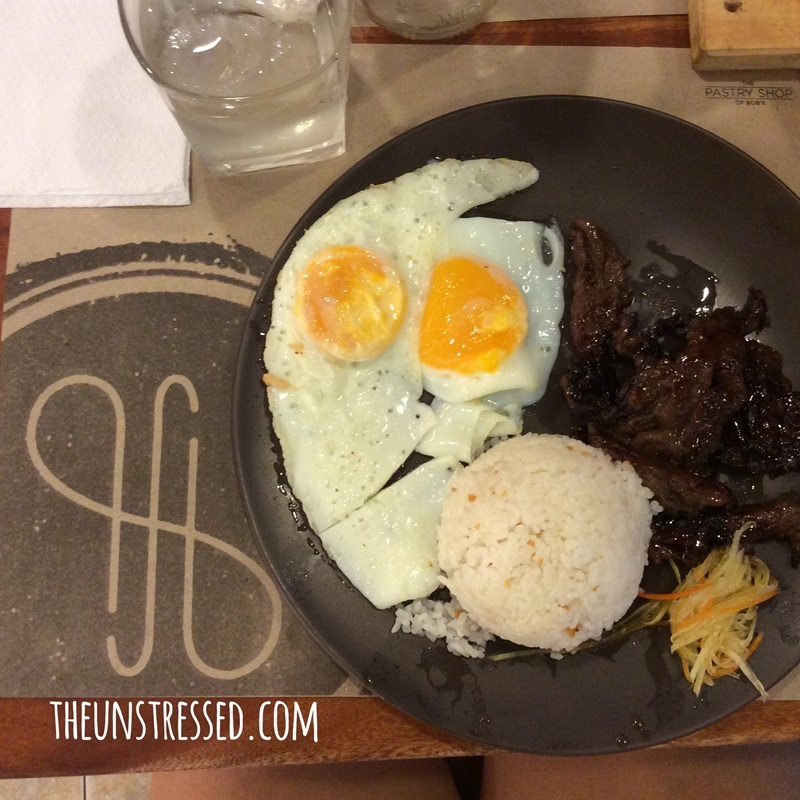 … while I chose Angus beef tapa. 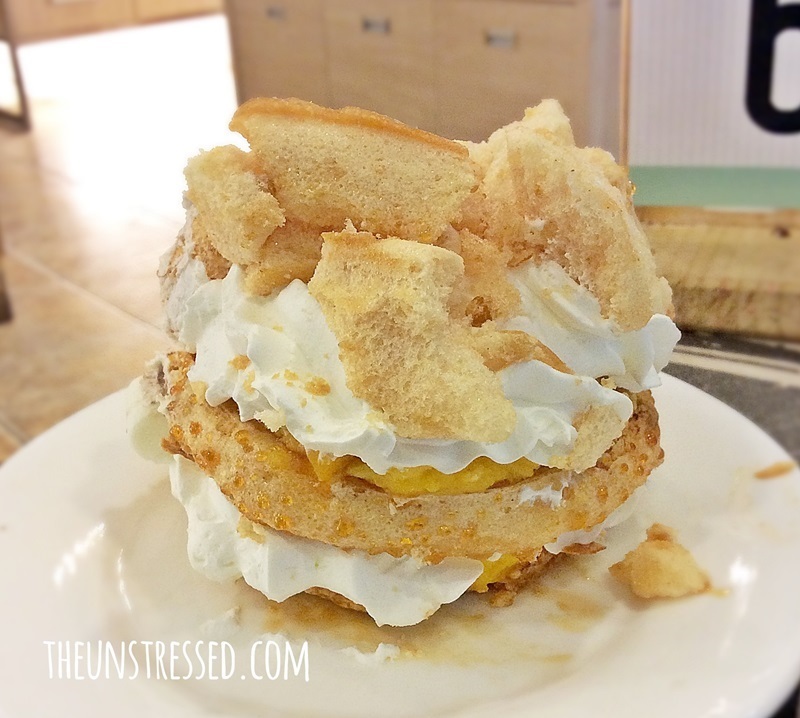 For dessert, we shared this pavlova. 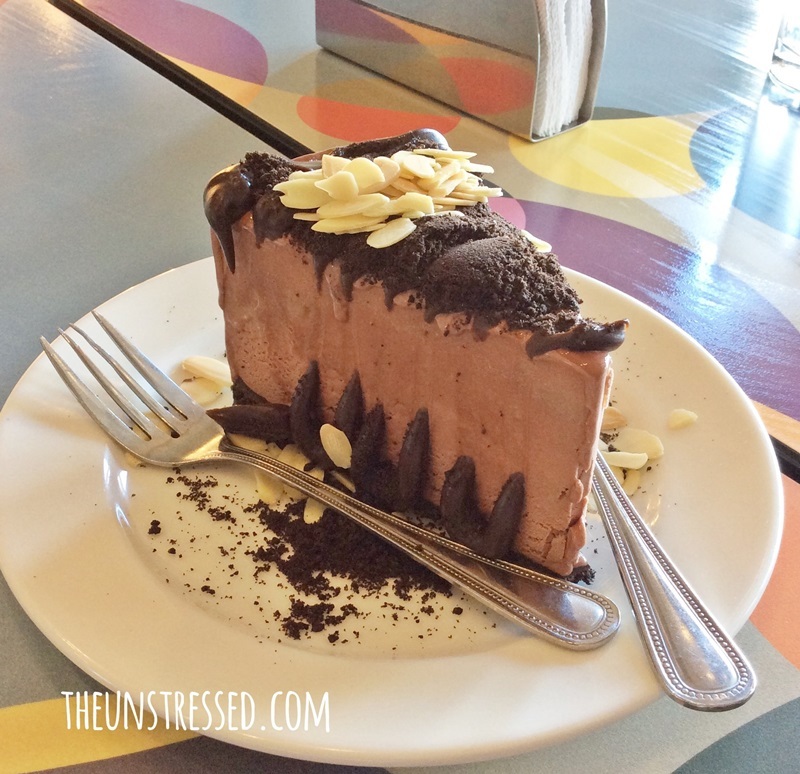 For snacks, we went to a branch of Calea inside the mall and ordered ice cream cake. 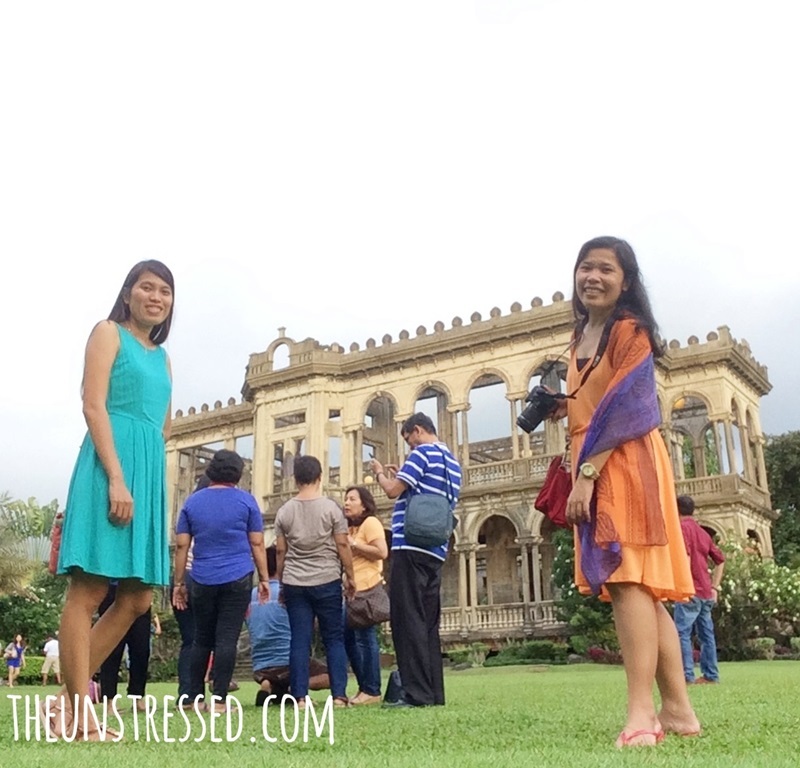 Our destination for the day is The Ruins in Talisay City. 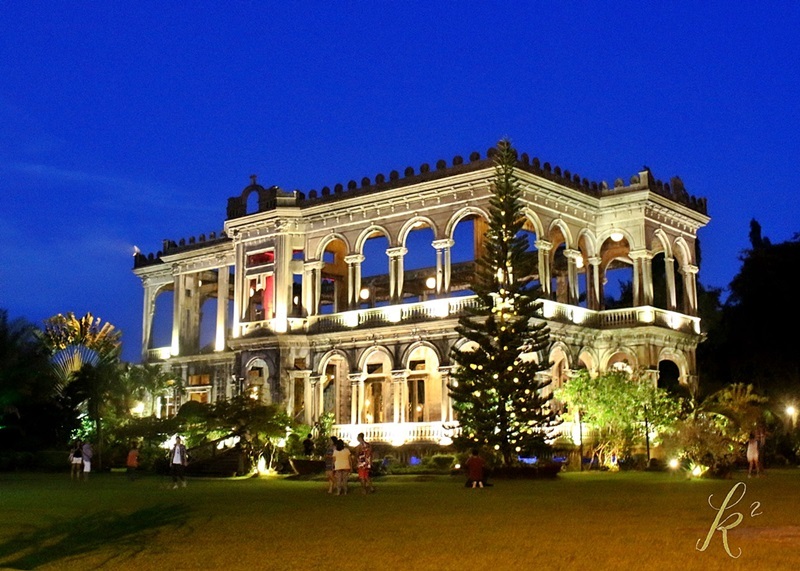 The Ruins is the mansion of Don Mariano Ledesma Lacson. 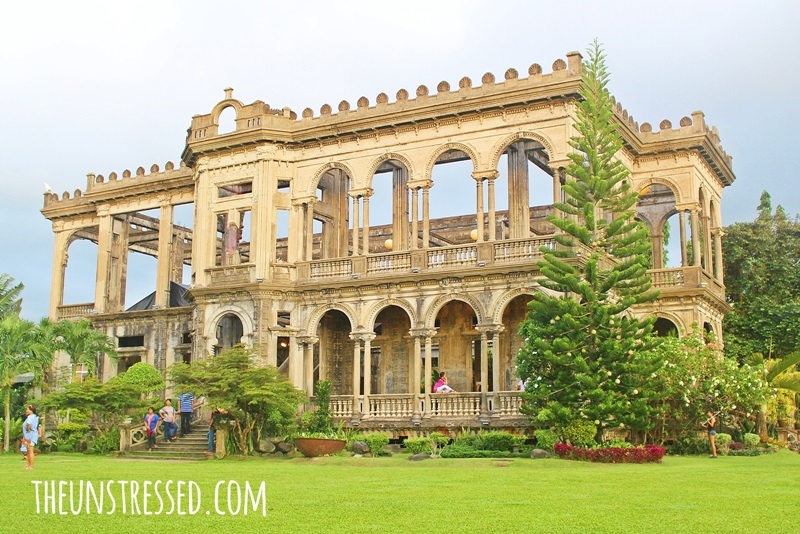 Sometimes, this mansion is also called the ‘Taj Mahal of Negros’. 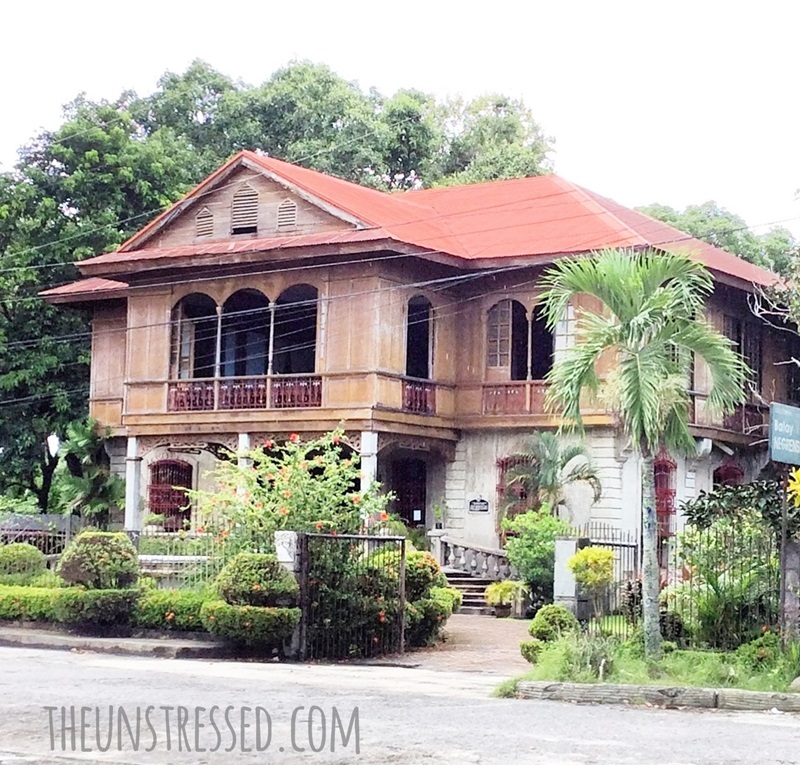 Don Mariano Ledesma Lacson built the house for his wife, Maria Braga. Maria died before it was completed. During World War II, guerilla forces purposely burned down the structure to prevent the Japanese from occupying the space and use it as headquarters. We read that it is best to go there during sunset. We went there from sunset till night time! Sayang ang Php90 entance fee! We went there on a Thursday and, for some reason, there were lots of tourists! Hello, photobombers! I finally had an opportunity take that shot I wanted with few intrusions. It was already dark when we left. It was Gail who did most of the planning in this trip especially where we would eat. 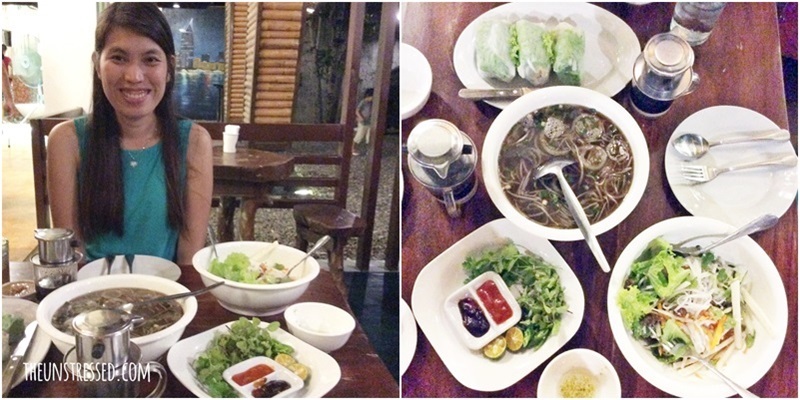 She learned that a Vietnamese restaurant called Rau Ram Cafe was just near the area. We hired a trike to get us there. Look at my friend’s happy face after our order was served. I know she’d protest over her solo picture being posted. Hi, Gail! This is our photo together. 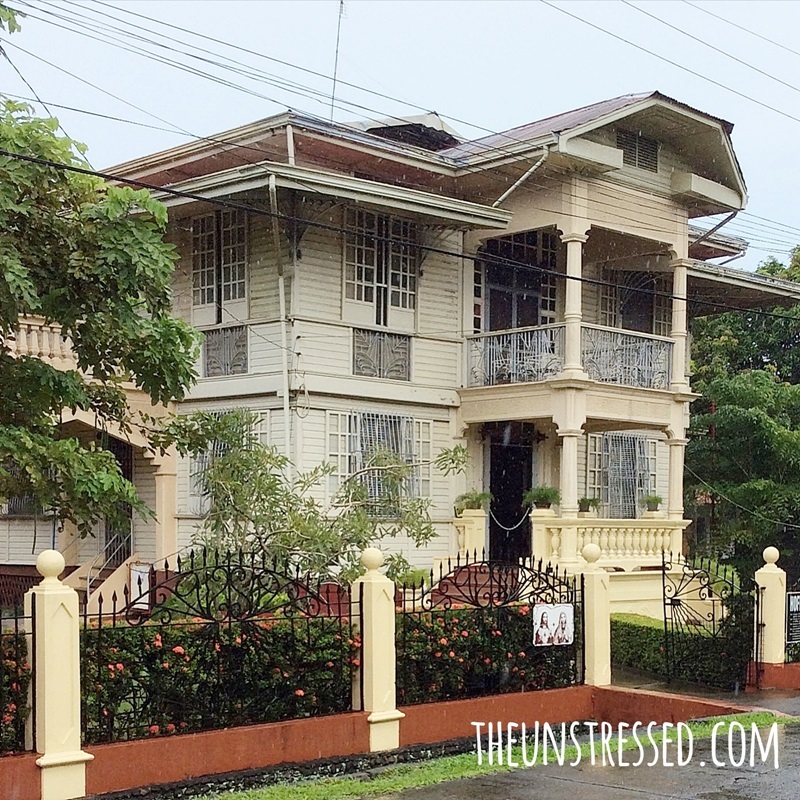 On our last day, we went to Silay City to visit heritage houses. Our first stop was the Hofileña Museum. We arrived there without appointment that my friend caught the owner, Ramon Hofileña, resting in his living room. Somebody really lives in this house. He was gracious to accommodate us by calling his assistant/guide to tour us around. Edwin, the guide, was very entertaining. He told us a lot of trivia and history of the mansion which was really fascinating. I really suggest not to miss this tour when visiting Silay. We had lunch at Cafe 1925 as suggested by my blogger friend, Lady. Silay is her hometown. There were items in the menu that we were interested of trying but was not available. So I settled with fried chicken. My expectations were not high. I always think that the best fried chicken came from the fast food chains. To my surprise, it was delicious! The serving was huge. 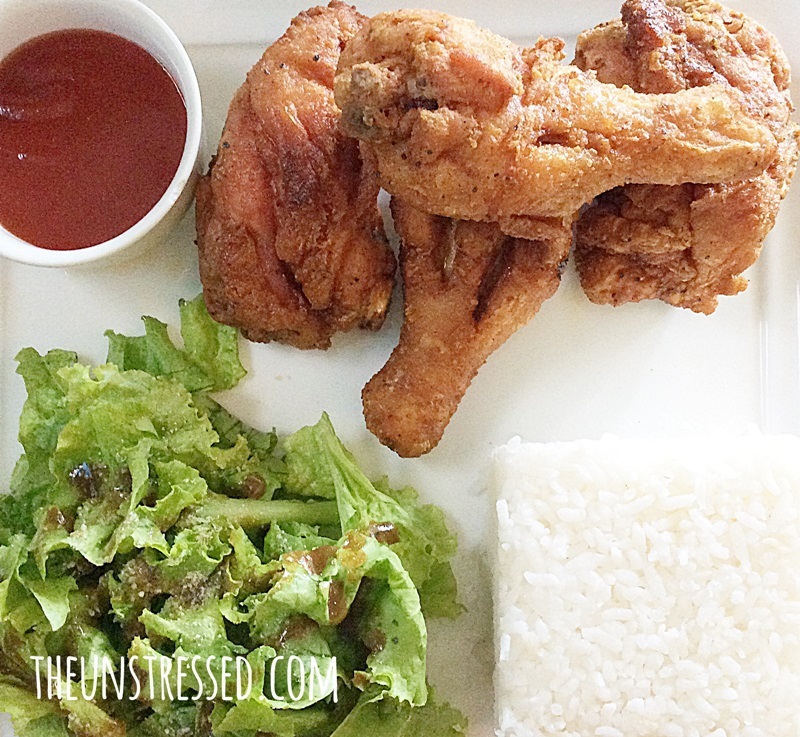 Four pieces of fried chicken for Php160! 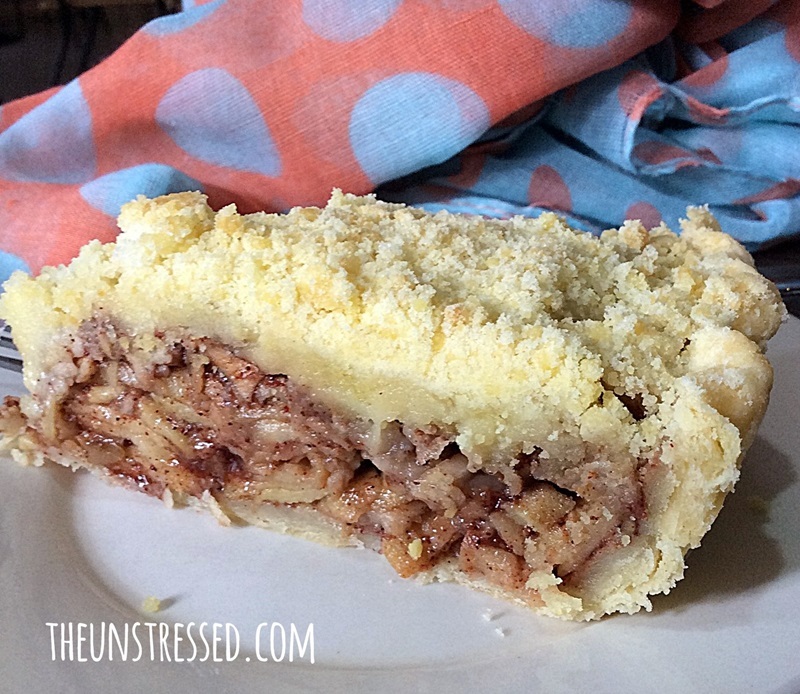 We had dessert at El Ideal bakery and tried their famous guapple pie. After lunch, we visited Balay Negrense. There was no guide to usher us around and this greeted us by the door. I watched a few Filipino horror movies and this scared me. We toured around the place with much care. We did not want to disturb the spirits we concocted in our heads. Hehehe! There were other heritage houses in Silay but we decided to go back to Bacolod shop for souvenirs. 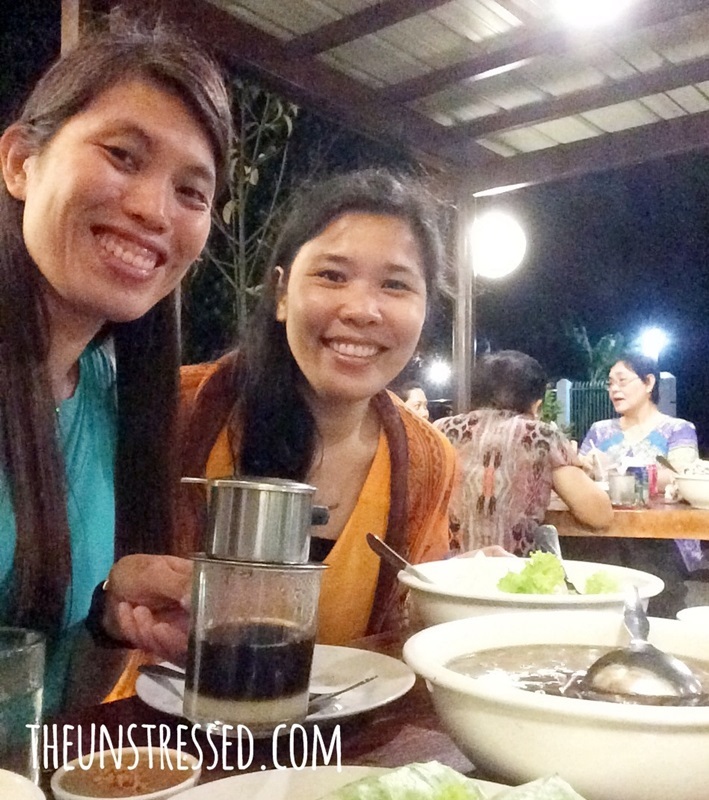 We had an early flight to Cebu the following day so we had dinner again at Cafe Bob and started packing. 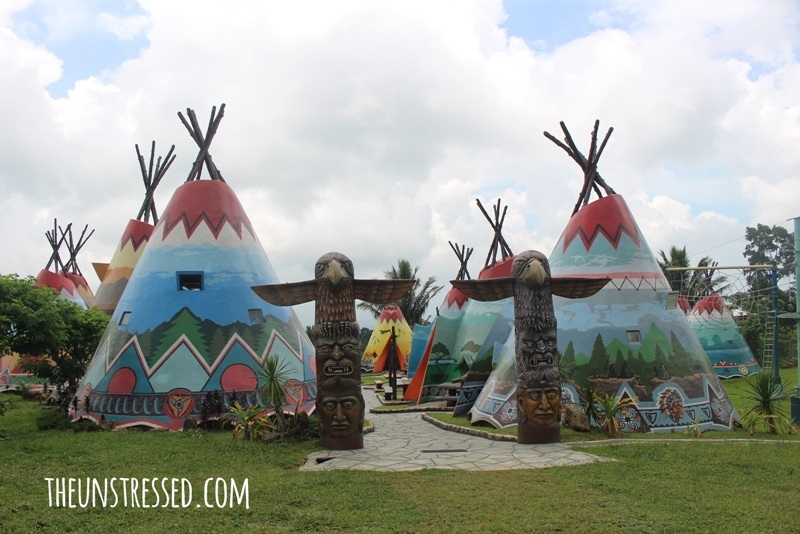 The trip to Negros was a laid back one. We did not aim to go to as many tourist spots as we can. We did not aim to try different activities. We visited a few and just relaxed. We napped when we wanted to nap and ate when we wanted to eat (which was often! hehehe). After all, this would not be my last visit to Bacolod. And, that’s how trips should be …. in my last trip, I didn’t do much planning and just went for whatever I felt like doing. I woke up at the time I wanted and didn’t compel myself to do every tourist-y thing that a tourist should do. WOW! The place looks amazing and so do the food. I’m glad you guys had a great time and you toured a lot too! That’s awesome. Omg how cute are those rooms! 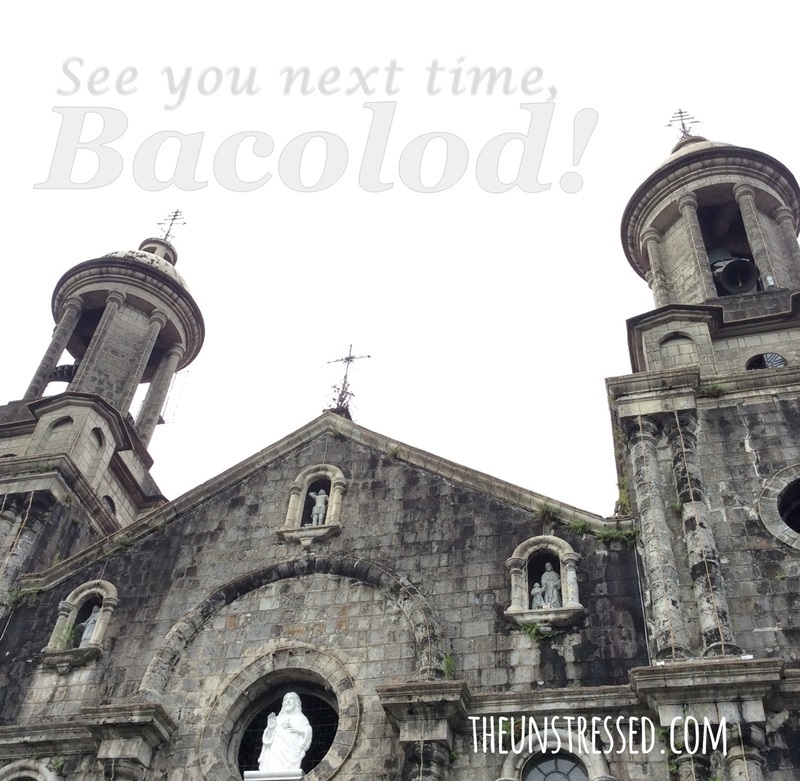 I’m looking forward to visiting Bacolod one of these days! I’ve been to all these places as well!! The Ruins is particularly beautiful 🙂 I wish I could go back!! 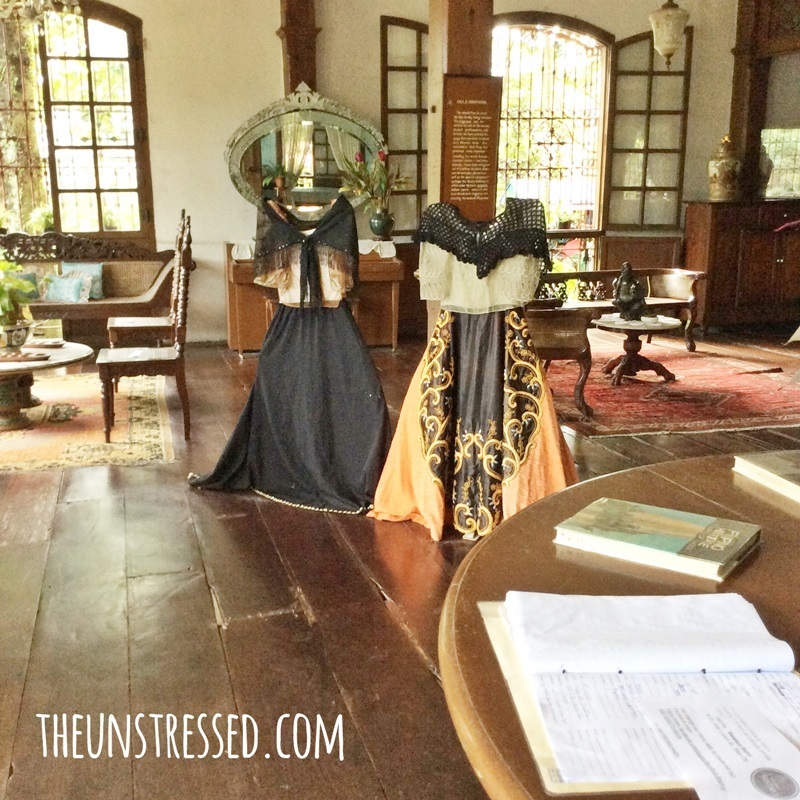 I’m from Negros Occidental but only visited Mambucal, olad house in Silay City- which was quite interesting at that time. But now, I think, everything changed including the food. 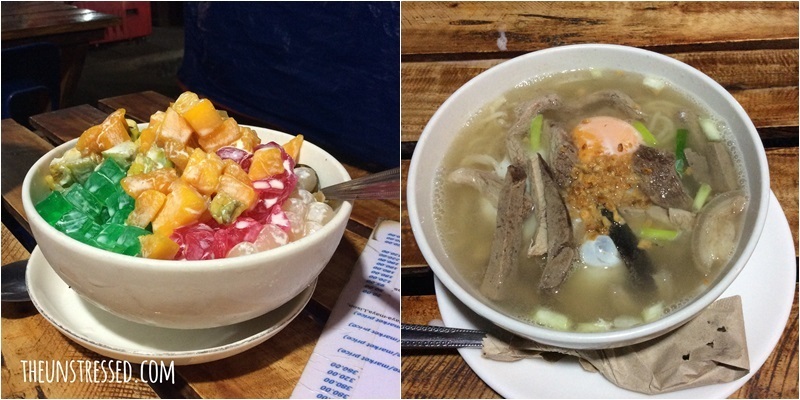 I loved to eat at Manokan every week. 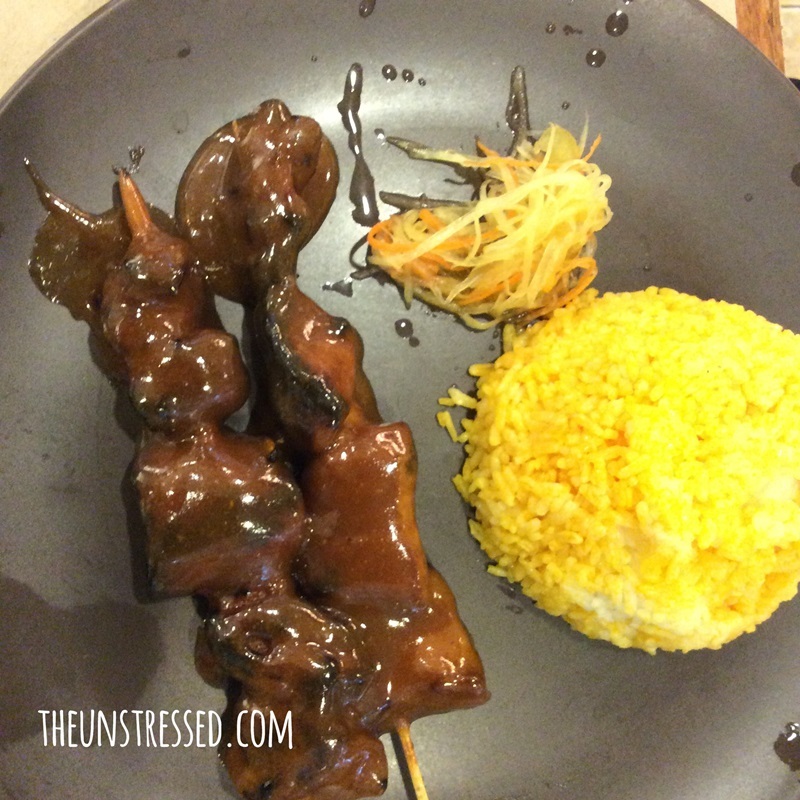 I only had three days in Bacolod. Too short a visit. Just enough for Calea and the Ruins. I liked the Ruins very much and their entertaining informative guide. Ah, this makes Negros get to my list of places to visit. 🙂 Just a great place for relaxation and culture exploration! I like your fun shots with your friends,especially the one with the waterfall! The heritage houses looks like a nice place to take photos but not to stay in! A bit scary! This accommodation looks so lovely and very vintage kind of setup. Love Balay Negrense photos. Omg the Bonita Hut is so unique. I want to try to stay in the Hobbit Hut. Hopefully one day I can visit to Bacolod. Was the sulfur spring natural? The one I went to in Taipei has this faint rotten egg smell, was it the same for you? Yes! It is natural and it has that rotten egg smell. The bonita hut looks so cute. It seems like living in a fairy tale house and it’s also similar to Shrek’s house. I would love to see Negros Occidental too. Hi, Kat! You visited Bacolod na pala. I’m glad you’ve tried the different food that we have to offer here. Ay oo! I forgot you are in Bacolod. We could have met up for coffee or something. May i know, how much was your estimated travel budge to get to visit all these places?